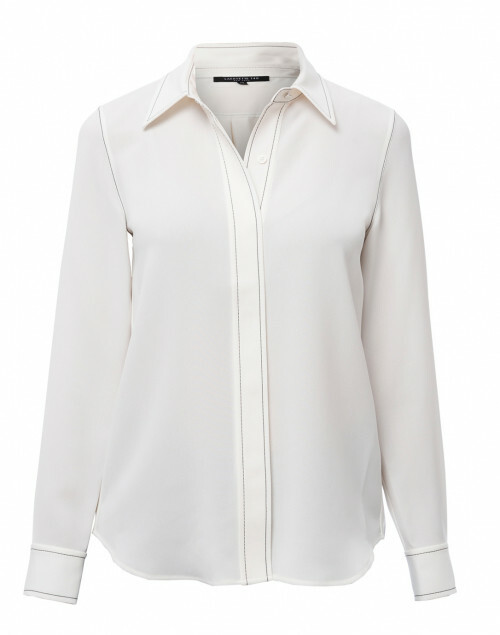 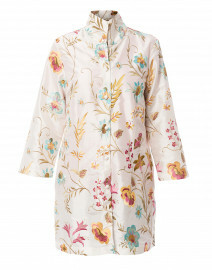 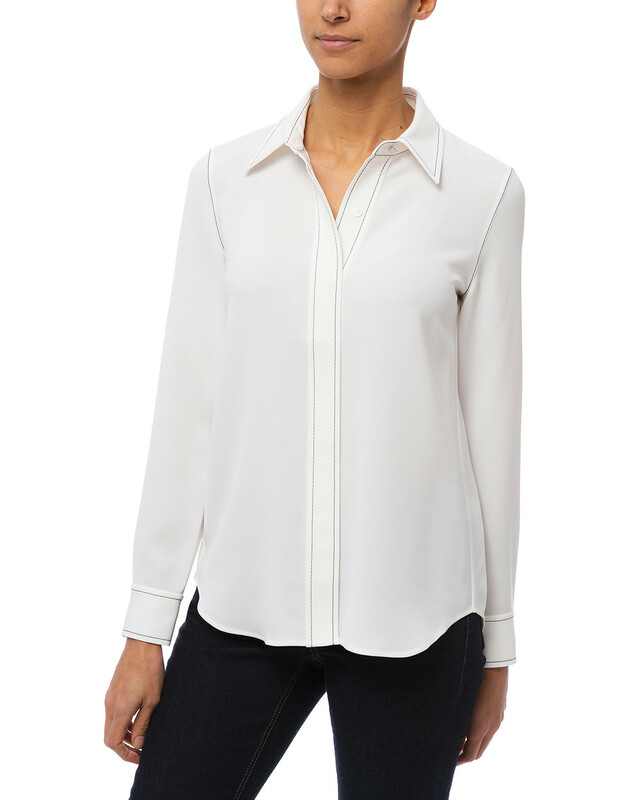 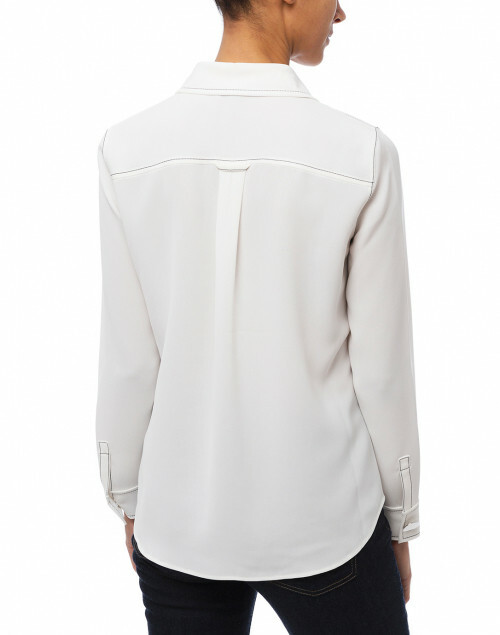 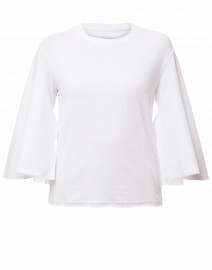 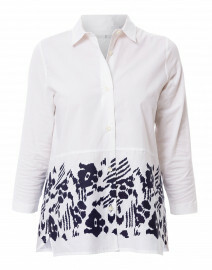 Made from Finesse Crepe for a denser, more structured straight silhouette, Lafayette 148 New York's Olga Blouse is detailed with contrasting topstitch at the seams for a more eye-catching and durable design. 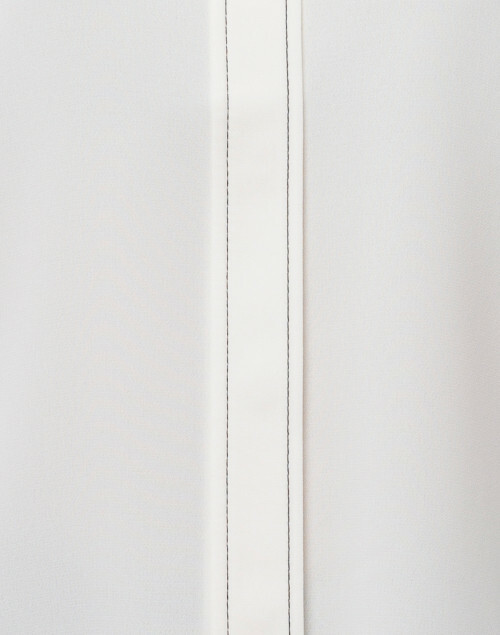 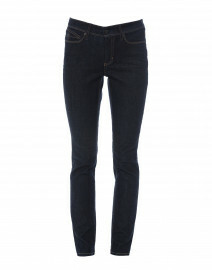 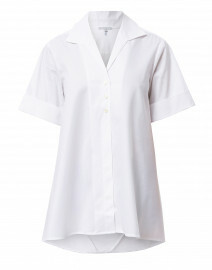 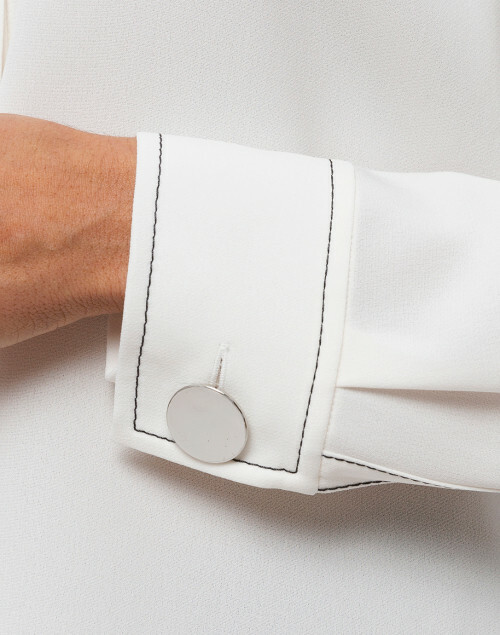 The hidden placket creates a smooth finish, while the large hardware buttons at the cuffs create a subtle boldness. 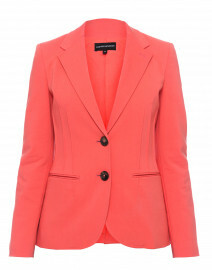 Style it with a coral blazer for a feminine workwear look. Length 27" 28" 29" 30" 32"
Shoulder Width 14" 14.5" 15" 15" 15.5"
Bust 39" 40" 41" 42" 43"
Waist 39" 40" 41" 42" 43"
Hip 41" 42" 42" 43" 44"
Sleeve Length 23" 23.5" 24" 24" 25"